James Kunder is principal at Kunder/Reali Associates, an Alexandria, Virginia-based consulting firm, specializing in international development, post-conflict reconstruction and civil-military relations. Concurrently, he serves as an Affiliated Expert at The Lugar Center, in Washington, DC, and as a member of the Executive Committee of the Modernizing Foreign Assistance Network. In 2014-15, working with Palladium, Kunder led a major evaluation project for the Department of State Bureau of Intelligence and Research, examining whether U.S. Government programs attempting to counter violent extremism abroad were achieving their objectives. Kunder has extensive government and private sector experience managing international development, relief and reconstruction programs. 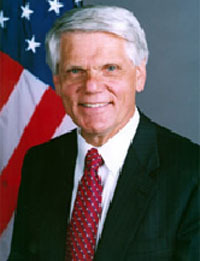 At USAID, Kunder has served as Acting Deputy Administrator, Assistant Administrator for Asia and the Near East, Director for Relief and Reconstruction in Afghanistan, and Director of the Office of US Foreign Disaster Assistance. In the private sector, Kunder was Vice President for Program Development at Save the Children Federation. He has also served as a legislative director in the U.S. House of Representatives, and was a candidate for Congress in Pennsylvania’s Fourth Congressional District. Prior to his service on Capitol Hill, he was on active military duty as an infantry platoon commander in the U.S. Marine Corps. He currently teaches at the U.S. Foreign Service Institute, at USAID, and at the Marine Corps University. He has authored numerous publications on international humanitarian issues, reconstruction, peacekeeping and crisis management.